Fabienne Lesbros started her procurement career in 1991 on the Channel Tunnel project. 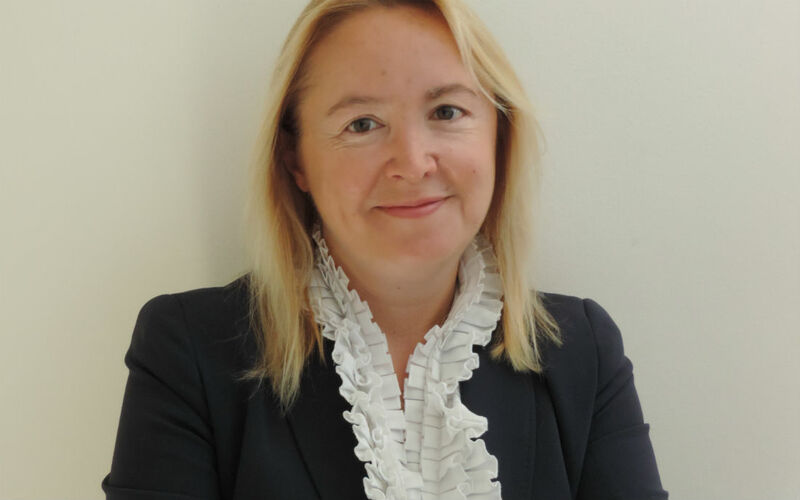 Since then she has worked across a number of sectors and industries, procuring for well-known companies such as Future Electronics and GlaxoSmithKline, before being appointed CPO for Britvic Soft Drinks in 2010. Britvic has an annual global spend in excess of £1.1 billion, with suppliers in over 40 countries. Since 2010, Fabienne’s team has achieved great success in both savings and value creation, but has also led the way in sustainability, innovation and education. Fabienne talks to Procurious about her continuing journey and where she sees procurement in the future. Like a lot of my peers, I ‘fell’ into procurement at the start of my career. I had finished my studies and procurement was the first role I got. Again, like many of my peers, I didn’t really understand what procurement was or what the job entailed. I started as an analyst in the procurement department as part of the channel tunnel project for Eurotunnel and I loved it from day one. I’ve always thought that procurement was a fascinating profession to be part of. You work with one of the few functions where you have contact with all parts of the business. You can touch so many things – the scope for procurement is immense. What is your proudest achievement in procurement so far? About a year ago, our CEO (Simon Litherland) spoke to the city about Britvic and how procurement was one of the key pillars to deliver the company’s strategy going forward. This was a big achievement as it showed how much the procurement team was valued by the business. In many organisations, procurement simply doesn’t have that level of focus, although this is changing as more and more organisations realise that procurement is one of the most powerful tools at their disposal. Similarly, getting the award from CIPS has to be right up there as one of my proudest achievements, both from a personal perspective but equally from a team perspective. I see this award as just as big an achievement for them. What prompted you to submit a nomination for the CIPS award? I hadn’t intended to submit a nomination for the award at all. However, a friend of mine from the CIPS Fellows said that I should and kept asking me until I applied! The way it works is as follows: you write the submission yourself, but a lot of documentation comes from peers about your work, line manager testimonies and recommendations from colleagues and people you have worked with throughout your career. After you have submitted the paperwork, a pre-selection takes place and people are informed if they get through to the next stage. If you are selected, you are given a month to prepare a presentation to be delivered to a panel of industry experts. The key success factor in this part of the process was the ability to communicate, specifically being able to consolidate your message into something clear, concise and pitched at a business level. Of course getting it right first time is essential! This was a challenging exercise preparing 6-7 slides to cover a 20 year career to date. What does the award mean to you and your team? What the award gives to the team is a great external benchmark and recognition, which then leads to more gravitas internally and the ability to influence the business agenda at pace. People start to understand procurement’s role in more depth and realise that they can reach and surpass their own business objectives by collaboration with us. Procurement can unlock the potential of the supply base to directly deliver the needs of the business rather than getting lost in the complex world of third party supply chains, which if handled incorrectly can have serious detrimental impact to an organisation. Quality leads to recognition, which in turn leads to trust and building this trust means our business partners rely on and want to work with procurement for a quality output. It of course works externally too, as suppliers clamour to work with an award winning team. What is the most challenging aspect of being the CPO in an organisation the size of Britvic? And the best thing? The most challenging aspect is the high number of initiatives that the organisation has running at any one time – we are an ambitious organisation and that means there is lots to do! As commodity experts there is always a lot of pressure on procurement to avoid volatility and equally the cost consciousness agenda that runs through the organisation means our Indirect Procurement team is at the forefront of this – challenging but that’s the way we like it! The advantage is the size of the company – we are not a behemoth and the closeness to the product that procurement has means we can act with pace. You can see the immediate impact on the bottom line that your decisions are making. It’s also easier to get round all the business partners and you are able to do more of that face-to-face. One of the best things about being CPO is being in charge of the coaching and development of the team. I find it very rewarding to develop the team and to see individuals achieve things that they didn’t previously think would be possible – we are nothing without a team that has development opportunity, ambition and talent. What are your key aims for 2015? Professionally, I am trying to get the team to develop greater engagement with the commercial and sales teams. The engagement often stops with the marketing or operations teams, but I believe that there is a lot to get from engaging on the commercial side. They understand the competitive edge, trends and where future products might be heading. I’m pushing the team to work in this area, which will be a big change in terms of engagement, as it doesn’t really happen at the moment. I think you need to do things in a collaborative way and work very cross-functionally. After all, sales can help procurement on getting into the mind of a seller and vice versa – it’s a trick many organisations miss, which could really strengthen supplier and customer negotiations and relationships. How can procurement become more strategically involved in organisations? For me, it’s all about understanding the business needs, adding value and not doing procurement in a silo. This goes back to the engagement with other parts of the business. You constantly need to understand what the business’ needs are. You fulfil a need from the business, but finding a need that the business never knew it required in the first is far more powerful: this is how procurement adds value to the business. Procurement can be seen as part of the team and can bring so much functionality into the business. It’s the only team that can touch everything internally and externally every day. What do you see in procurement’s future and how can social media play a role? You can look at this from two angles, the first being the impact from social media on the supply and demand for goods and services. We live in a world of multiple social media streams, which has completely changed the way we interact with our consumers. This is at the forefront of our marketing strategies which ultimately impacts us all – for procurement reacting to customer preferences and rapid changes in trends means we have to be quicker than ever in dealing with the supply base and sourcing innovation to match our needs. We have more information at our finger tips to inform us of supplier performance/preferences and this will only accelerate over the next 5 years. Secondly, I look at social media from a perspective of developing the profession. Procurement is not a profession that is really on people’s radar, you don’t see procurement anywhere in terms of being a career. Kids don’t come home from school and tell their parents that they want to be a buyer! We need to establish procurement as a profession in the same way as law and accountancy, and make people in schools and universities aware that there are careers in procurement out there. Social media can help this happen. Engaging with schools, showing them what procurement is and how to qualify, what careers are available and what you can do in procurement – all of this can be shown on social media. How can we engage with the next generation of procurement professionals? As with the previous question, we need to show procurement as a profession. There should be programmes in schools about it, have universities linked up with CIPS to offer information and qualifications and courses in procurement and then for companies to create graduate programmes where they can. The profession needs people. At the moment, we don’t have enough people with the right skill sets. Procurement should be a profession for which there should be a degree/professional accreditation, the same as being a lawyer or an accountant. It’s vital for procurement to become a recognisable profession. It’s becoming too critical to organisations not to have people coming naturally from a professional stream.